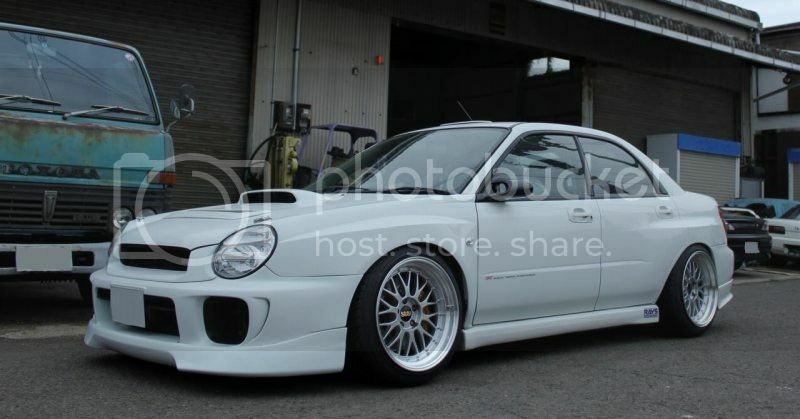 This is a car that I’ve been following since at least 2005, and in that time it’s been through at least eight wheel changes – meaning a new crazy setup each year. 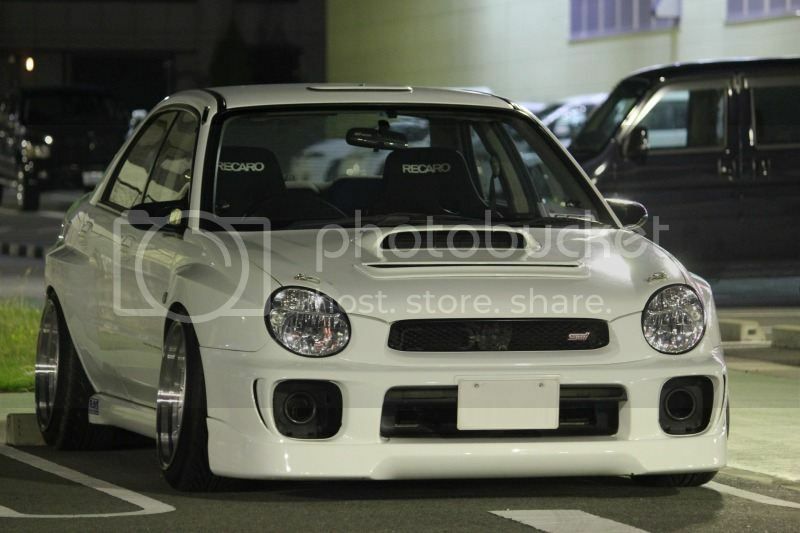 I’ve seen a few wheel addicts in my time, but none have had a lineup quite like this under a custom-widebody bug eye. 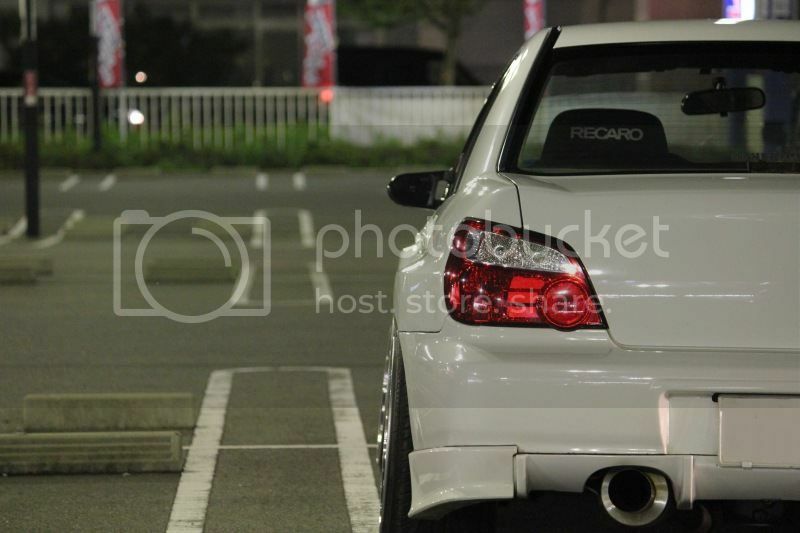 I’ve put off posting this car because it’s already made the rounds on the jdm blogs ad nauseum a few years ago (after first appearing on the Minkara thread on Nasioc and before that ; ). It made a few posts in a few snapshot and video posts. 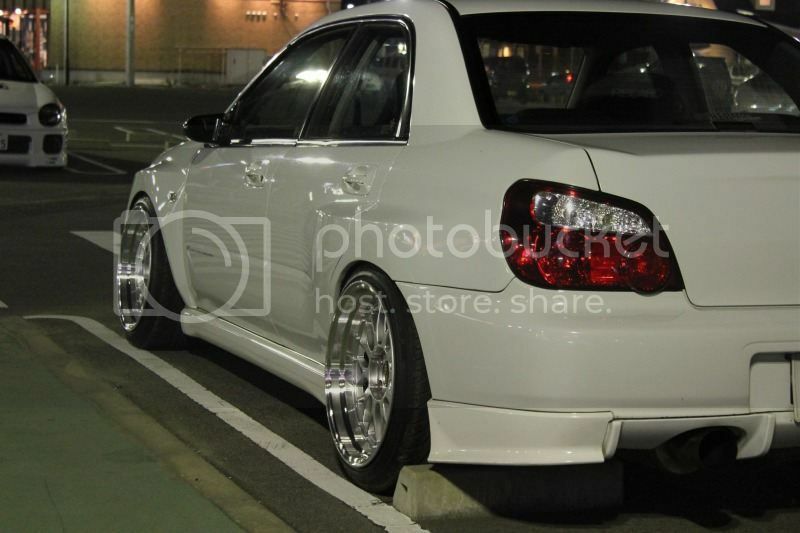 But finally this car has a new setup that’s pretty jaw dropping. I really thought it would go the Volk Racing TE37 Tokyo Time attack route since it seemed to be on a TE37 bender for a while there. 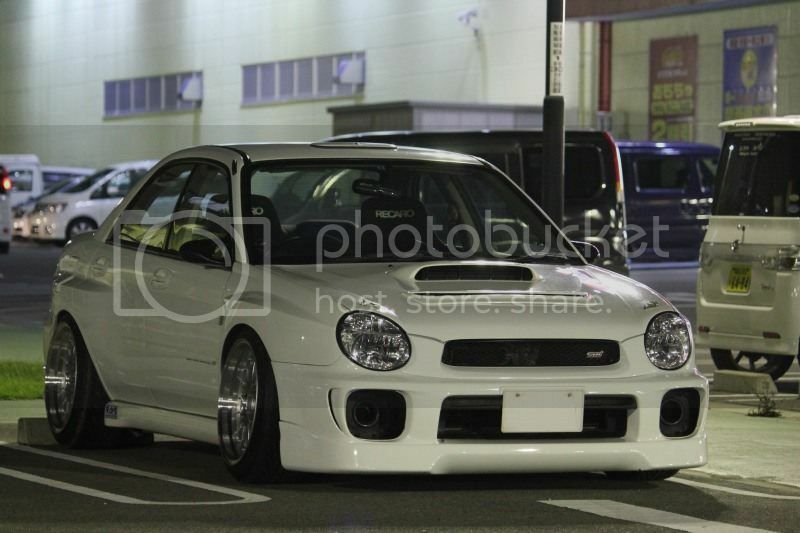 This widebody bugeye belongs to Itakichi and resides in Japan. 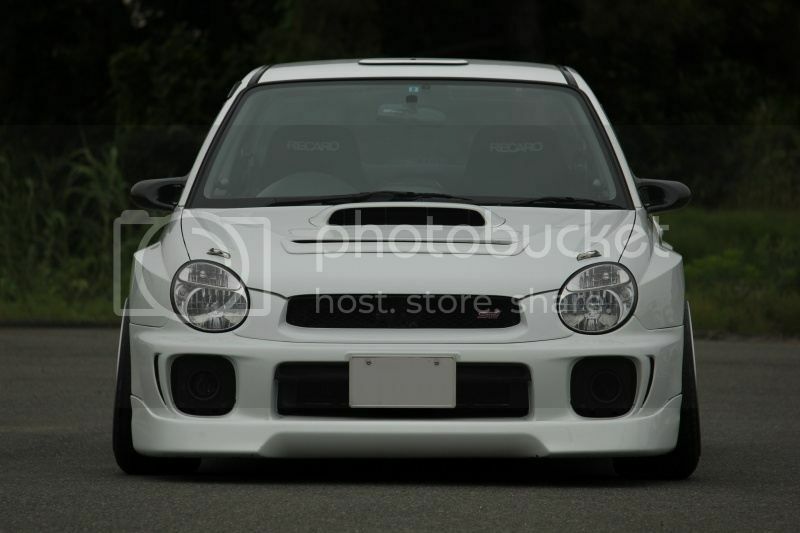 It sports one-off 80mm wide fenders, and attention to detail like you’ve never seen (notice how the bumper is blended into the Version 1 front lip, the de-whiskered front vents, intake funnels in the foglight housings, and despite all that it still curiously has the lightweight STI type RA spec C headlights (otherwise known as USDM bugeye headlights)). With all that said, I still think the new setup is lacking something . . . He must have had those LMs re-lipped. I’ve never seen a set that aggressive. 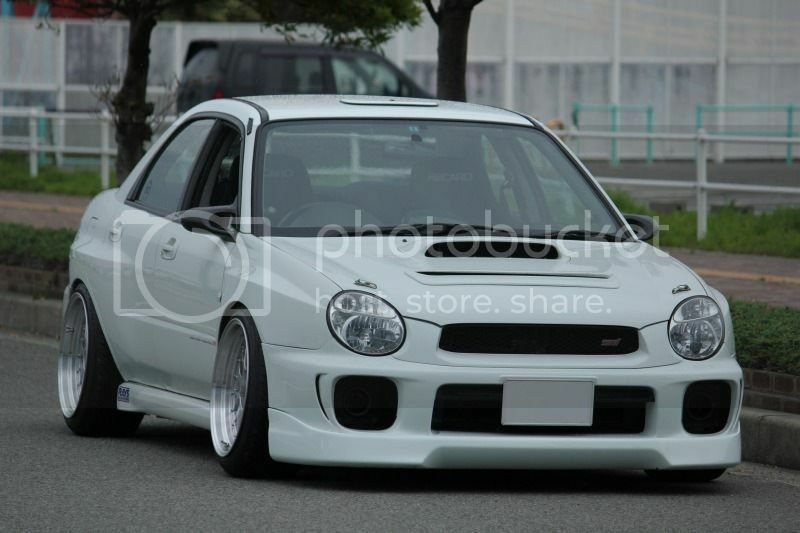 I appreciate Itakichi’s style and was doing the fitment thing, long before it gained steam in the US. I think the wheels are a little over the top for my tastes. I’m not a fan of stretched tires. 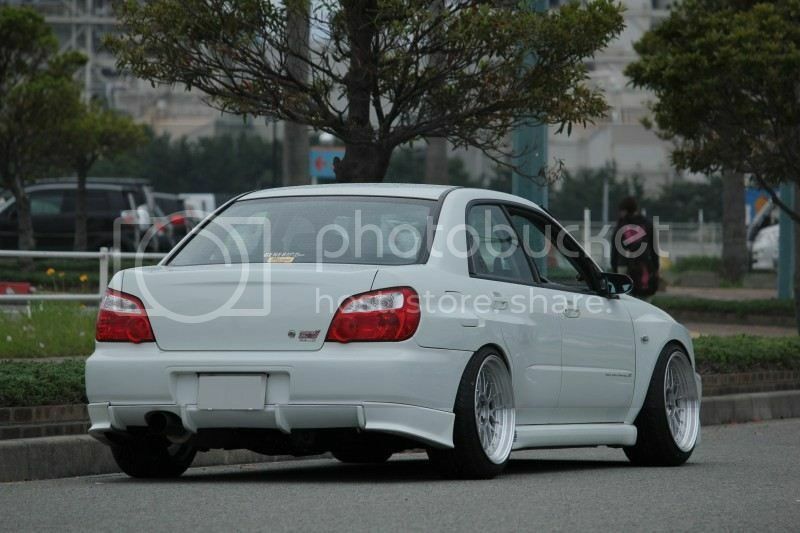 I’d probably go .5-1 in less wide on the wheels, reduce the camber and put on fatter tires. 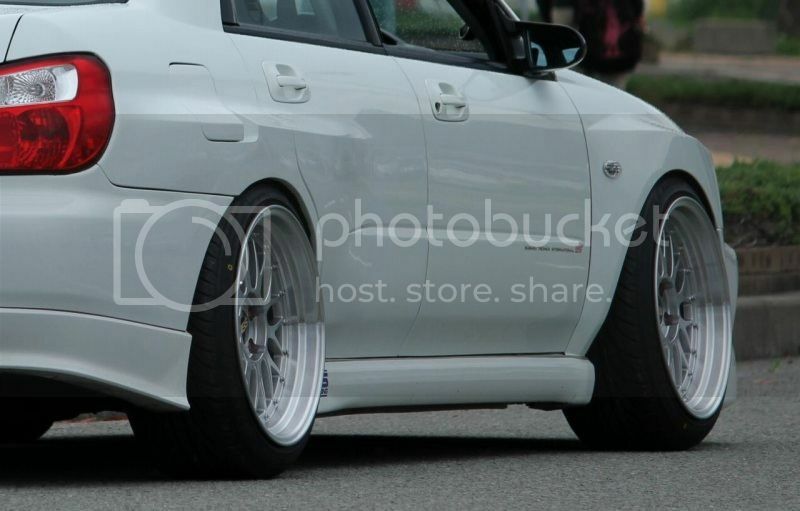 Agreed on both points – camber and stretched tires are hurting otherwise awesome setup. 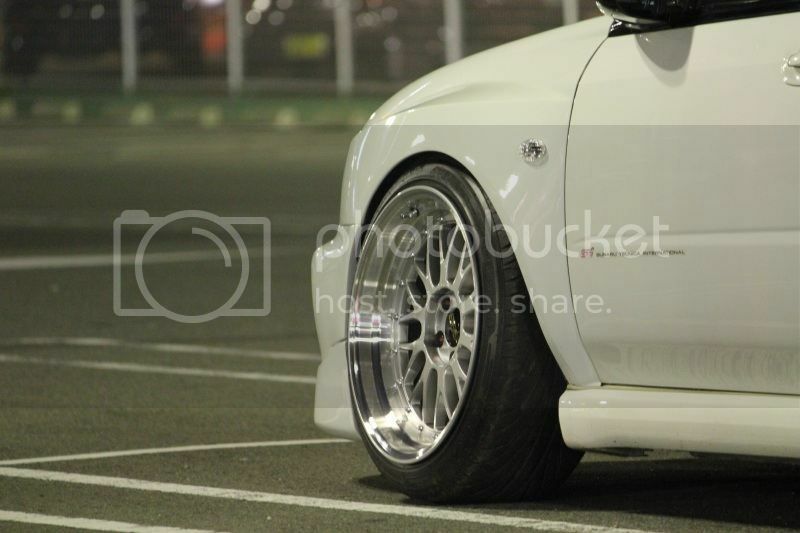 Unsure the width but I know they make LM in 18×11. 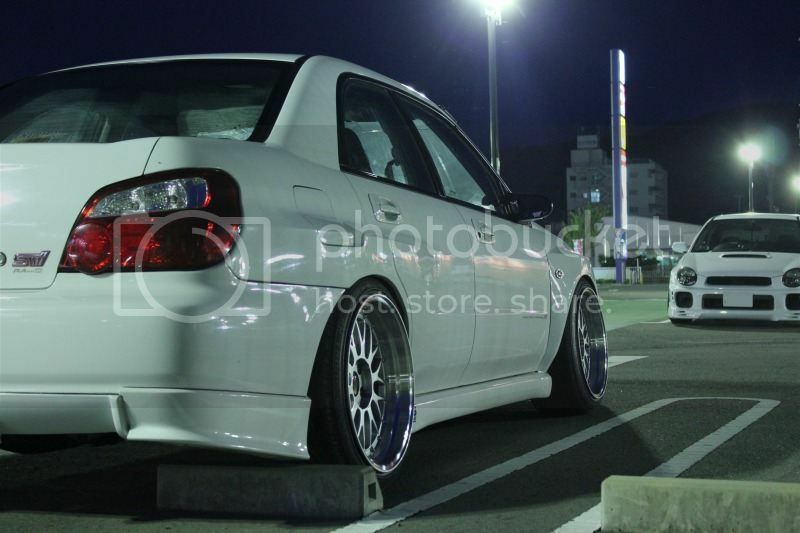 Also keep after it with the V1 lip! I just found a set of ion yellow fogs for someone who was looking for them in JDM land who bought them — keeping eyes peeled for you also! V1’s were common enough at one point, hard to think of them as a rarity now. I appreciate the second set of eyes John! I’ve been scoping out the Japanese marketplace without much luck. I can’t believe the V1 is a rarity either. It was an OEM part after all.